Working on a photo, video share, every day I come across a huge number of different techniques. 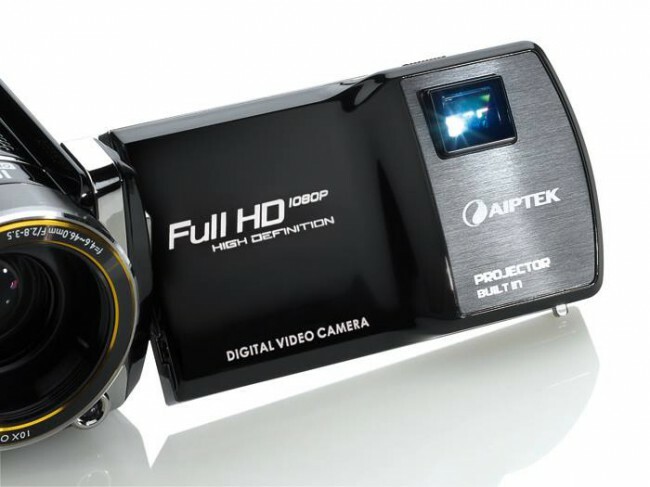 Cameras SLR, and compact mirrorless, various optics from wide angle to telezumov, video and, of course, varied software. But that’s what we somehow never talked about is an important part of the photo / video of everyday life. About bags and backpacks for carrying equipment. So today I would like to talk about such accessories as fotokofry and Photo backpacks Crumpler. We visited on test four kinds of accessories, each designed for its target audience. Try to understand, so if these bags are useful and that the user should pay the money. 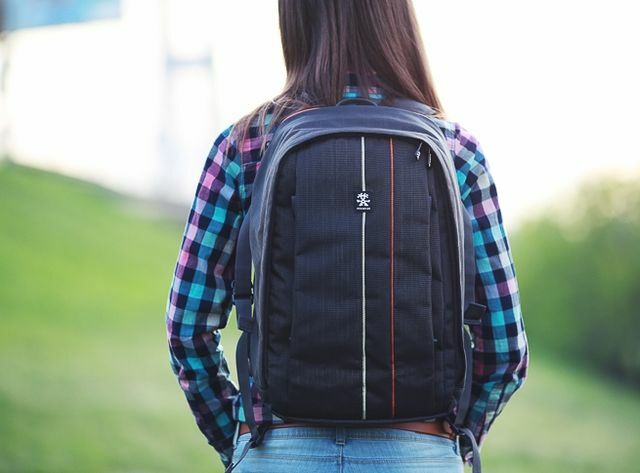 The first accessory – it Photo backpacks Jackpack Crumpler Full Photo Black / Orange – the same pattern has got us. 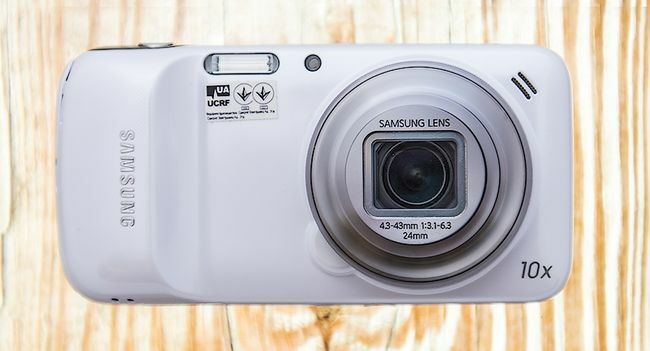 I admit at once: I do not like fotoryukzaki only for one simple reason – they are ugly. All that I have seen until now, for some specific reason I did not like. In some too large, while others – ugly form. Our specimen – probably one of the few, if not the first, which I would gladly wear every day. Fabric – 1000d Chicken Tex Supreme. Simple and understandable language – quality and dense, moderately water-repellent. Straps – comfortable and efficiently implemented. Width optimally distribute the load on the shoulders, so that fatigue does not come immediately. 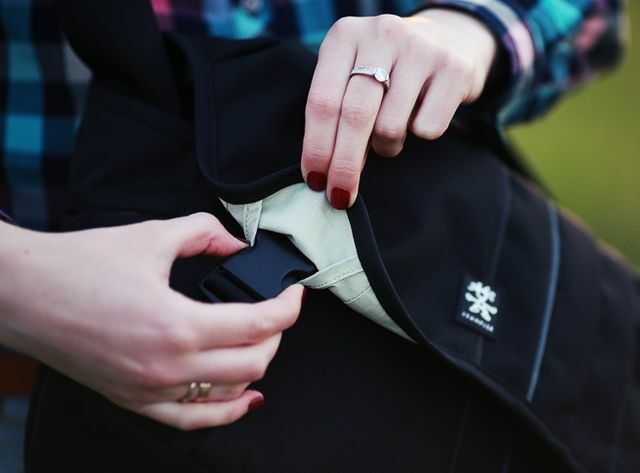 Near straps – waist circumference, which fixes the backpack on his back during some harsh traveling conditions – in the mountains, on a bicycle or motorcycle. All straps are very easily controlled and inspire confidence. But carrying handle backpack in the upper limbs are not particularly enthusiastic. It is very narrow and biased towards the rear of the pack. Not only that, laden with accessory will mercilessly crash into the palm, so more and shifted the center of gravity is swinging and hitting on foot with each step. Three pockets. All of them are covered with pleasant and soft material resembling fleece – about the technique can not survive, not scratched. 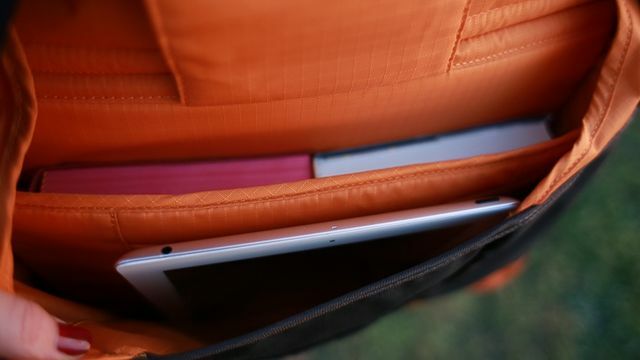 The first pocket is directly under his back, he is narrow and intended primarily to carry a laptop, tablet notebooks with sketches or some books. Nothing special. Access to the second pocket – side. This additional compartment to throw some keys, a couple of pens, notebooks or player. When you close that pocket almost every time you need to correct carbines, which are designed to fix the tripod crepes. Incidentally, crepe – two, one on each side. So you can take along a tripod and monopod. 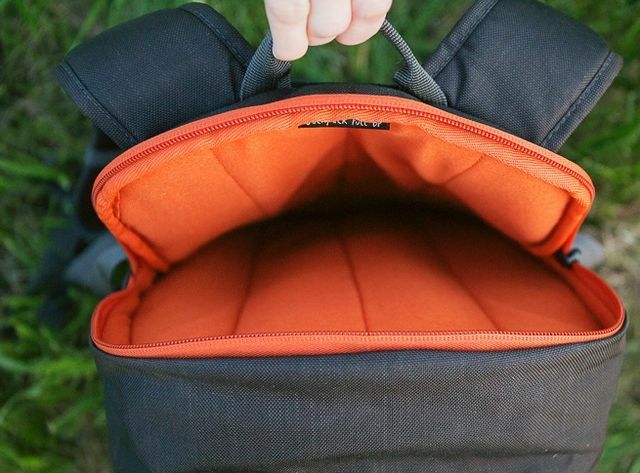 However, the main pocket – large and roomy. 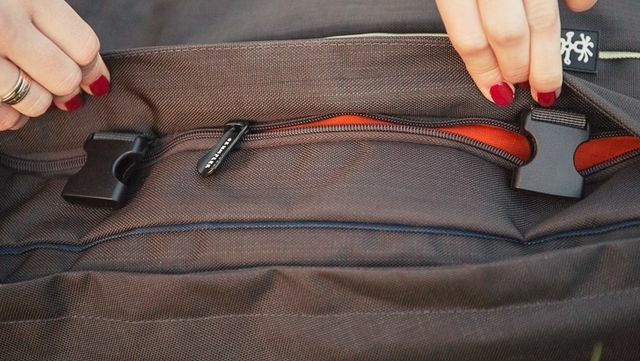 Just behind the main zipper, for small networks, opens a bag for carrying equipment. You can post anything that you need and all sizes – thanks to space management through partitioning Velcro. During the test, I easily accommodates Canon 6D, Canon 70D, Canon 24-105 F4, Canon 17-55 F2.8, Canon 18-135 F3.5-5.6, a couple of extra batteries, flash Yongnuo YN560 Digital SpeedLite , charge the battery and could be easily put a couple of fixes. All equipment is very conveniently attached and held, the net protects from scratches and folding wall delight another pocket-net for small items. During the test, incidentally, we have long argued with teammates – whether well then go lightning? I admit, it is worth the small effort for dog walking tugovato. However, I tend to treat it more as a protection against thieves, rather than a bug. But here’s what we unanimously agreed, so it is that the price of around 2000 hryvnia – too much for this backpack. Especially given the fact that the product does not raincoat, for example. In all other respects – Ladder. 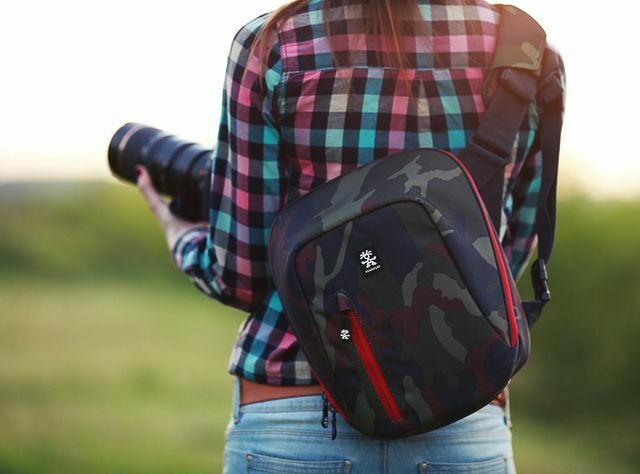 The second test took Crumpler QuickEscape 800 Camouflage . 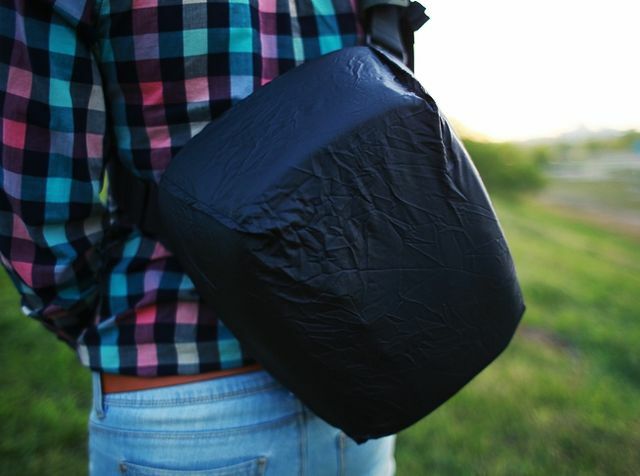 This is a common photo bag, which is more convenient to wear on the shoulder than at the waist. The material is the same as in the preceding the test. Pockets to carry with them all the happiness two. First – the vertical, the front of the bag. This excellent embedded wallet, keys, player and other trifles. The second compartment – large, open slightly diagonally over. Capacity bags at. Here you can put a small tablet size SLR Canon 6D, two small zoom and try to put a medium-sized flash. On this, probably all. Lightning go as well as in a backpack – a little tight. Some people like it, some – not. Harness for carrying in hand sewn back, which will inevitably lead to skewed and blows on the leg. Incidentally, it is worth noting that the shoulder harness sewn too strangely – when wearing heels bag all the time on one side, creating discomfort at first. The cost of this coffer – around 1000 USD, which is kind of like a little expensive. But it is worth to pay tribute – cape raincoat complete present. 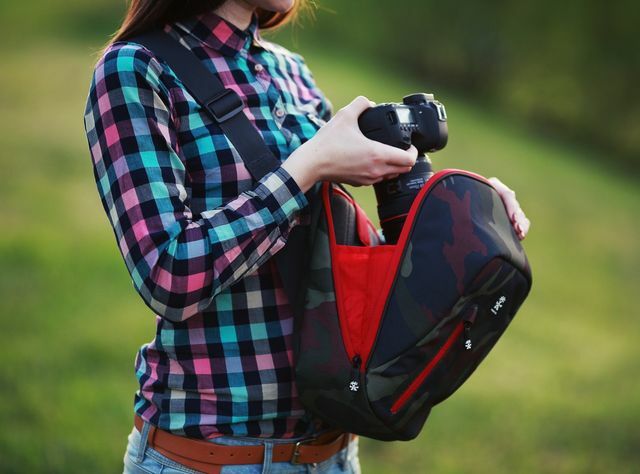 Crumpler JackPack 7500 Black – classic shoulder bag to carry photographic equipment. Immediately it is worth noting that wear it on your shoulder is very convenient – does not interfere, not pereklonyaetsya not beating. Material identical to the previous model. Offices enough to completely release pockets. 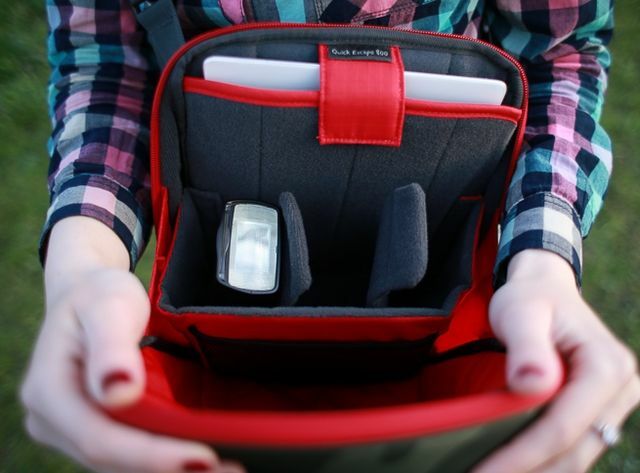 On each side – two small compartments for carrying a purse, player, couples credits. 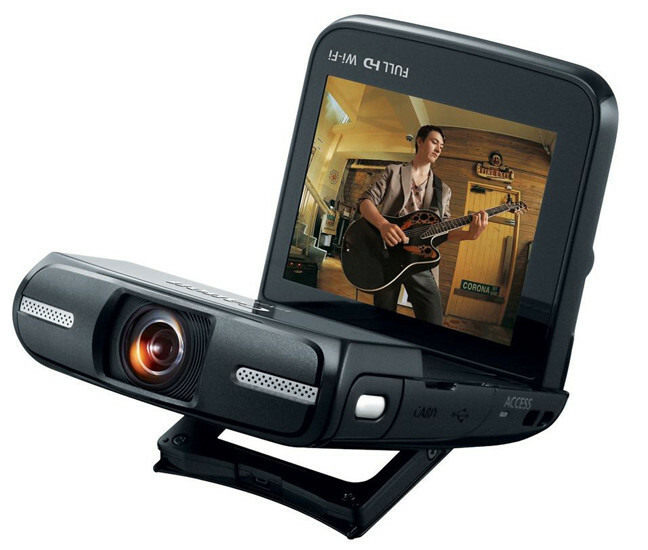 Top – small and not the most convenient place to carry all sorts of little things, such as lace USB, lens cap or spare battery. 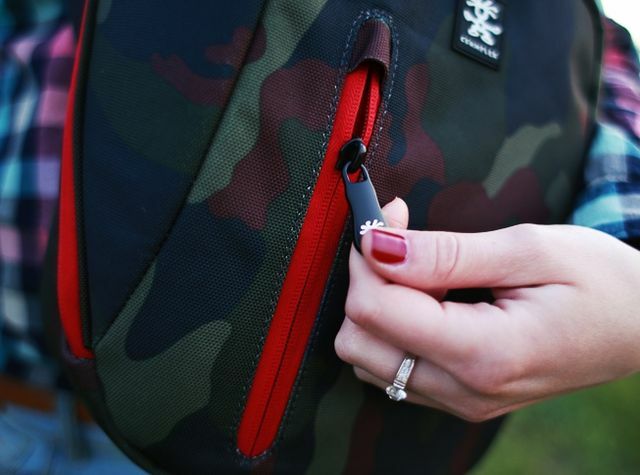 You can find the front pocket organizer for pens, flash drives, memory cards and other things. As for me, it is convenient. 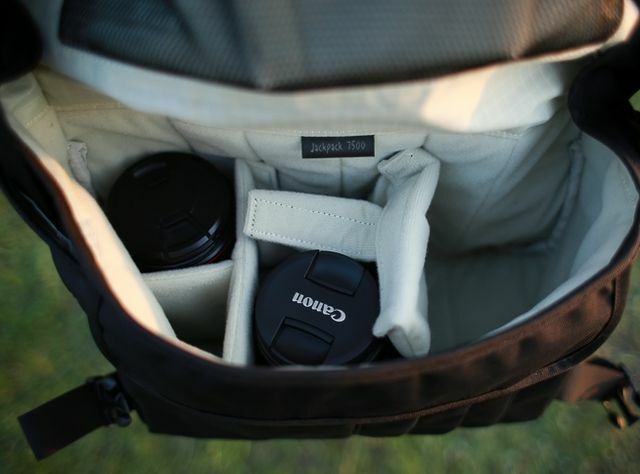 Opening the bag, you see on the inner wall of a small mesh pocket for small items and directly compartment for photo equipment. He divides removable dividers, however, to design something special is already complicated. 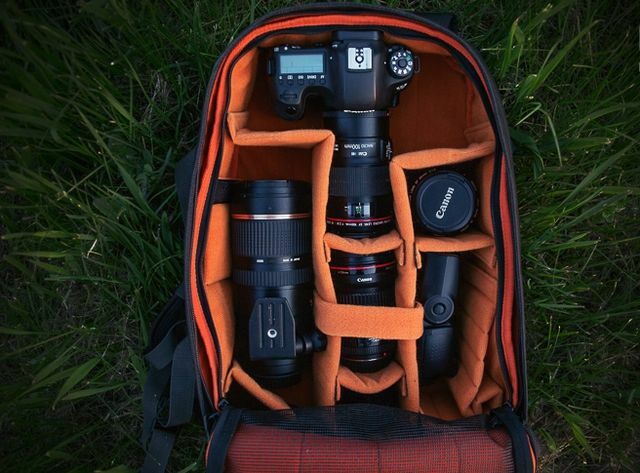 When the standard layout of the walls in a bag placed a medium-sized SLR, type Canon 6d, two small zoom and flash. Anything else (eg charger) can be placed, but is already spread all over carefully – just a heap dump everything in a pile will not work. But carrying handle bags in his hands extremely uncomfortable, even more than in other models. Who will benefit from it, I do not know. Cost of bag is about 110$, and it is slightly expensive. Despite assurances from the manufacturer that the design of the top cover prevents water from leaking, I’d longed to see Case raincoat complete. 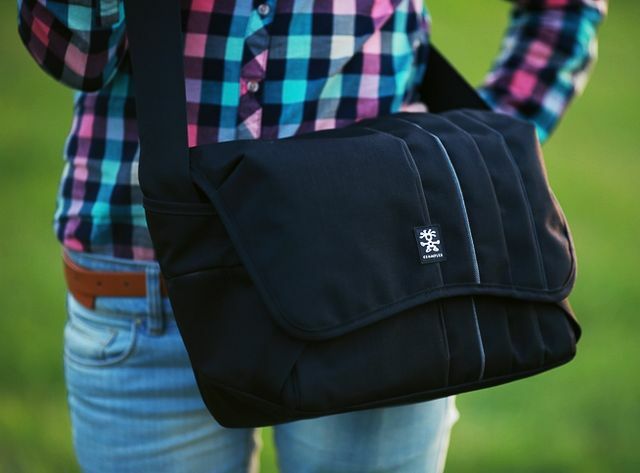 Crumpler JackPack 5500 Black – this is the most compact of the model we inherited. 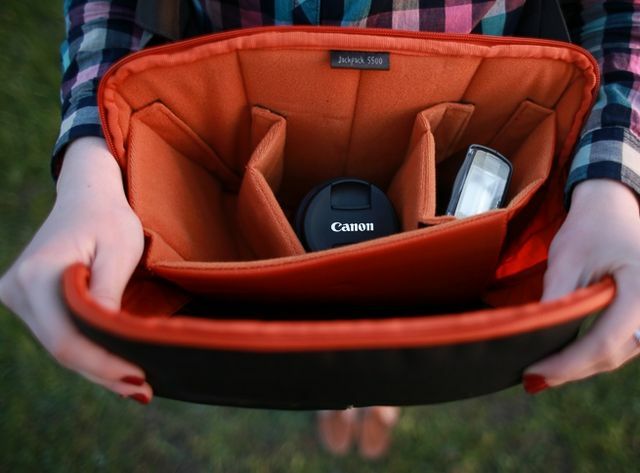 Pockets necessary minimum, namely – organizer in the front wall and a compartment for photographic directly. The walls are manually adjustable, but despite all the tricks, put something more than Canon 6D, Canon 24-105 and Canon 100 Macro I have never happened. In all other respects it is the experience of past instances. Extremely uncomfortable and useless handle for carrying in hands and wild distortions with regular beats on foot when worn on the shoulder, no slicker. Price – 90 $. 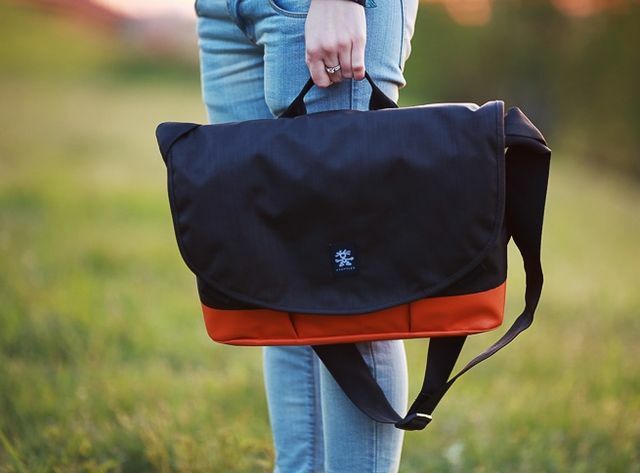 Along with camera bag and fotoryukzakom us to charts hit Crumpler Private Surprise Slim Laptop 13 “Charcoal / Orange . 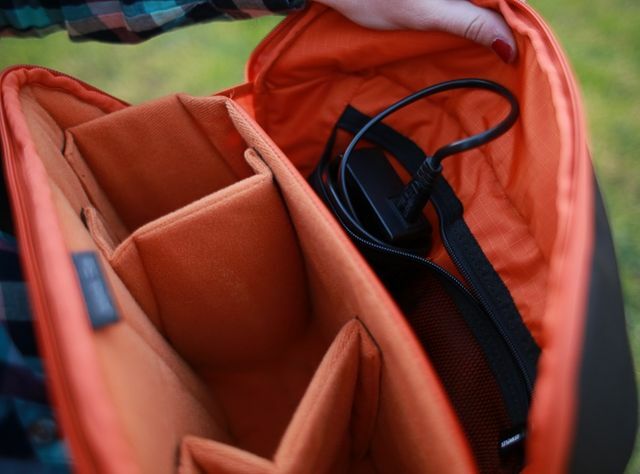 Classic Laptop bag is made of the very fabric from which all previous. So under a light rain with a laptop can not be afraid to fall. 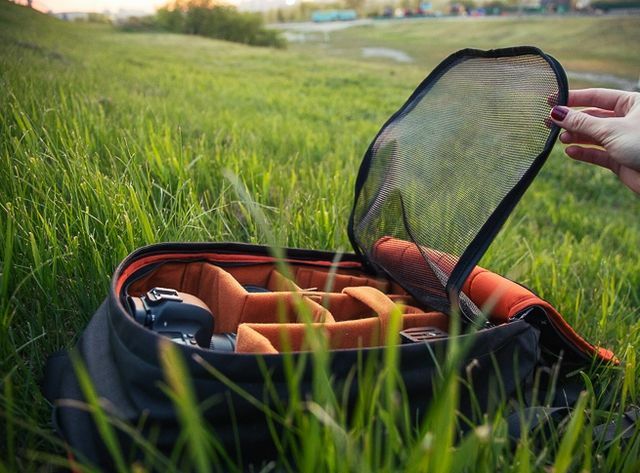 Tranquility and gives even more waterproof lining. 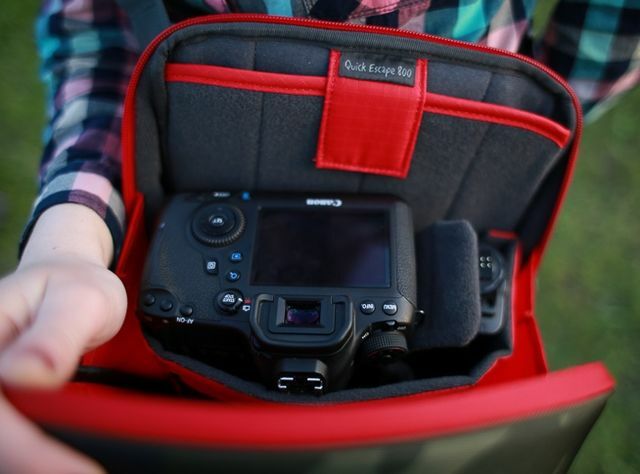 By the way, there is even a proprietary technology of Velcro, which does not allow to get into the bag with top cover closed. I do not know anyone, but me paranoid, ride on public transport it was quieter. Pocket, in fact, one. 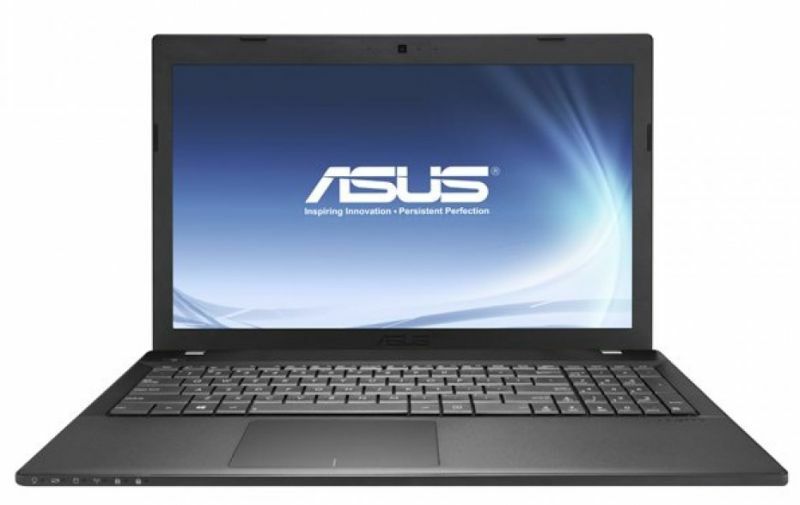 It is large is divided into several compartments. Lining laptop durable and sturdy locks the computer. By the way, in our instance intermeddle models up to 14 inches, inclusive, but there are models on the market, and more. Next to the compartment under the laptop has several panels organizers, where you can put, for example, handles. Main compartment – moderately roomy A4 folder is no problem. Pens here, surprisingly comfortable. Specifically, that which brachial. But vertical grip for carrying all suffer in the hands of the same diseases – warps bag makes it painful to fight on foot and slams into his hand. The cost of this enhancement is 100$. If you wish, you can see all the bags in the gallery, in a large amount, just by clicking the mouse on the icon in the upper right corner.